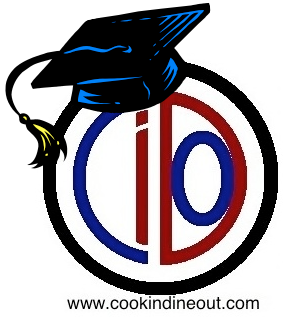 Cook In 101 focuses on basic recipes and cooking techniques to help novice cooks get into the kitchen and make delicious, healthy meals in a reasonable amount of time. Cook In 101 is supposed to focus on healthy recipes. I would argue that can include cookies (in so far as you subscribe to the idea that a healthy diet is one that includes sweet treats but in moderation). 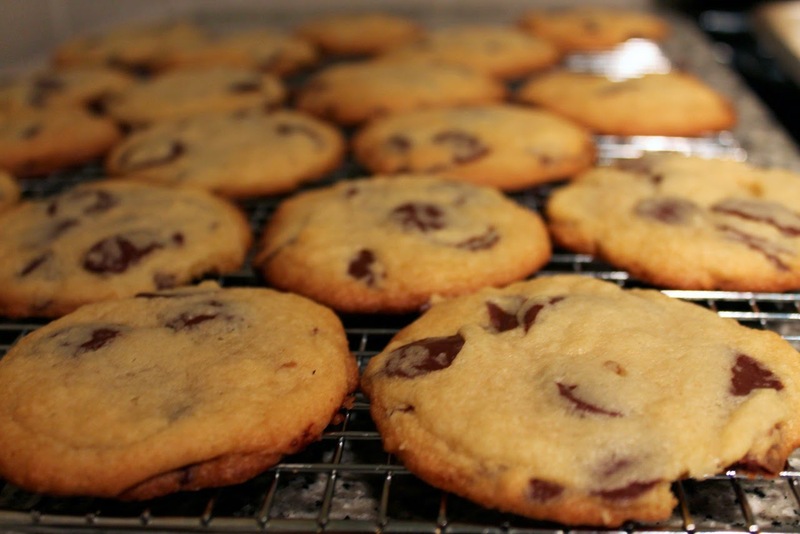 For the novice baker, there's no better place to start than with a batch of classic chocolate chip cookies. They're simple, use few ingredients and everybody loves them. Some cookie doughs require chilling, forming into a log and cutting--these you just spoon onto the baking sheet and pop in the oven, making them a prime example of a "drop" cookie. Chocolate chip cookie dough, once mixed, is ready to be portioned onto baking sheets. Let's take a closer look at this recipe. Most cookie recipes have a few elements in common. They generally contain fat (usually butter) and sugar, which are often combined together in a process some recipes refer to as "creaming." This step usually incorporates any other non-dry ingredients as well, such as eggs and vanilla extract. Adding these ingredients together first allows you to really beat the butter and sugar until they are light and fluffy--the added air makes the cookies have a lighter texture without which they'd be pretty dense. The other half of the cookie equation is the dry ingredients, which are typically mostly flour with small amounts of salt and leavening ingredients (baking powder, baking soda or both). These ingredients should be stirred together separately and then added to the creamed mixture of butter, sugar and eggs. 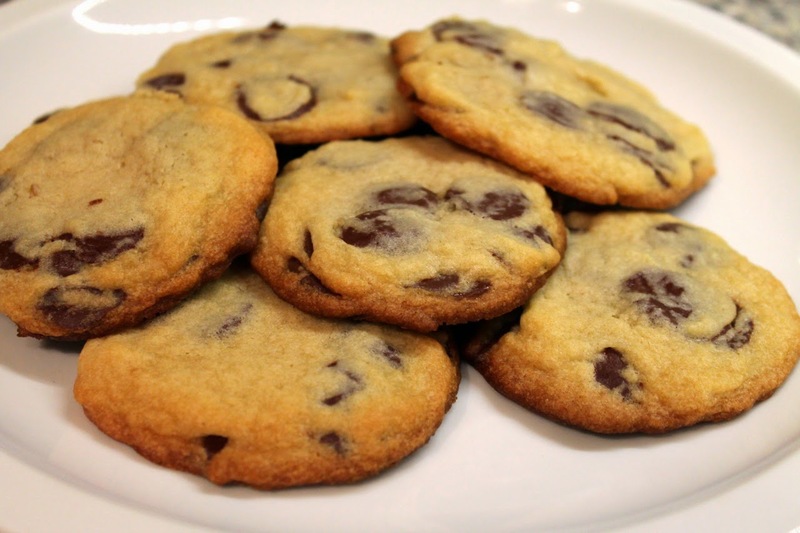 The last step is adding the additional flavorings that make cookies distinctive. In this case, it's the chocolate chips. Although Nestle's Toll House Semisweet Chocolate Morsels are the classic choice (chocolate chip cookies were invented at the Toll House Inn in Whitman, Massachusetts by Ruth Graves Wakefield), I prefer the Ghirardelli 60% Cacao Bittersweet Chocolate Chips. Their flatter design allows the chips to spread out when the cookies spread during baking, creating little layers of chocolate within the cookies that I really like. Although nuts or oats may also be added, I wanted to keep these very simple, which results on more focus on the chocolate chips themselves (for something a little more complex, check out Peanut Butter, Oatmeal and Chocolate Chip Cookies). When spooning the dough onto the baking sheets, keep in mind that the cookies will spread out as they bake, so you need to leave space between them, usually about 3 inches. When I made this batch, I evenly spaced about 12 balls of dough per cookie sheet. Aim to make each ball of dough a little larger than a golf ball. Some of the cookies ran together a little bit, but that's okay. As they cool, you can carefully break them apart. It doesn't affect their taste at all. When baking the cookies, be sure to keep your eye on them. Recipes include cooking times as guidance, not as absolutes. My recipe below says 10 to 12 minutes, which was my experience, but yours might be different, depending on your oven, altitude and whether you like browner or lighter cookies. The more important instruction is what the end product should look like: browned around the edges and lightly browned on top. This produces a cookie with crunchy sides and a chewy middle. When they come out of the oven, let the cookies cool for a few minutes between you do anything with them. They're still very soft and will fall apart if you try to transfer them to a cooling rack or plate too quickly. As they cool and the sugars crystallize, they become harder and can be moved. I definitely recommend eating some as soon as they're baked. Warm cookies are amazing, and they will be softer just baked than they will be a day later as the sugars fully crystallize. Store then in the fridge and enjoy for up to a week or so. 1. Adjust oven racks to top and bottom third. Preheat oven to 375 F.
2. Add butter to the bowl of a stand mixer and beat on medium-high speed until fluffy, about 3 to 5 minutes. Add the sugars and vanilla and beat until combined and creamy. Add the eggs one-at-a-time and beat in until combined. 3. Whisk together the flour, baking soda and salt in a large bowl. Transfer the creamed butter-sugar mixture to the bowl with the flour and stir with a wooden spoon until combined. 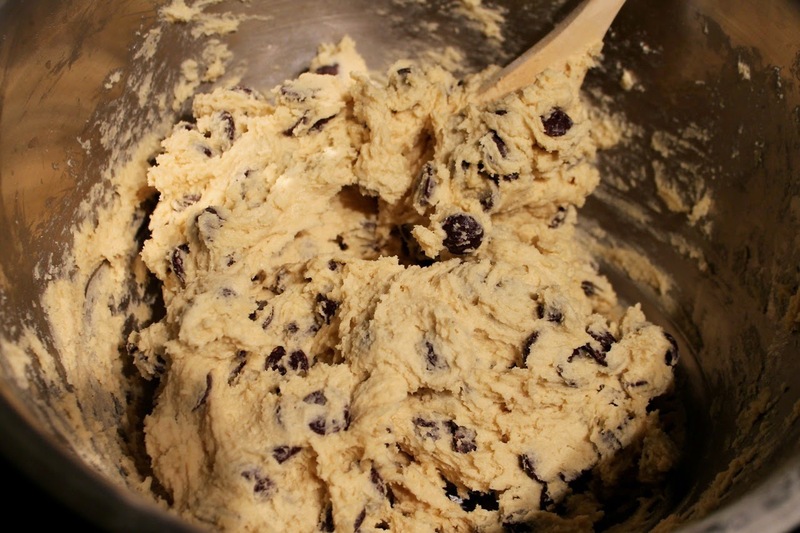 Add the chocolate chips and stir until evenly mixed into the dough. 4. Line three baking sheets with Silpat or parchment paper. Scoop rounded tablespoons of dough onto the prepared baking sheets, leaving about 2 to 3 inches between dough balls. Aim to put about 12 cookies per standard-size half sheet (13 X 18 inches). Bake until browned around the edges and lightly browned in places on top, about 10 to 12 minutes. Allow to cool on the rack a few minutes then carefully transfer cookies to a cooling rack and allow to cool completely. Store in an air-tight container in the refrigerator. "I definitely recommend eating some as soon as they're baked." This is the best advice in the history of advice.